Saul C. Belz and Oscar C. Carr III are listed in the March 2010 SuperLawyers Corporate Counsel Edition. The issue features the top SuperLawyers in the field of Business Litigation. Lawyers were selected for inclusion based on peer-recognition and professional achievement including verdicts and settlements, representative clients, honors and awards, Bar and professional activity, pro bono and community service, education, and more. Each year, Law & Politics mails more than 20,000 ballots to active lawyers in the Mid-South, asking them to nominate outstanding lawyers they have personally observed in action. Results are collected based on these ballots and candidate research. 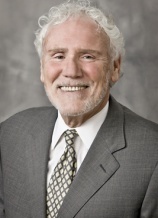 Mr. Belz has over 30 years of experience in the law, primarily assisting corporate clients with resolution of disputes, both in court and through alternative dispute mechanisms. He has participated both as counsel for the plaintiff and counsel for the defendant in class actions involving such diverse matters as securities fraud and Title VII claims. He has represented numerous broker/dealers and customers in arbitration and litigation. Oscar C. Carr, III is a former Chief Manager (1998-2000) and a partner at Glankler Brown, PLLC, where he practices in the area of litigation, with an emphasis on business, construction, environmental, and other civil litigation. He has been listed in The Best Lawyers in America for more than twenty years in the fields of Personal Injury and Environmental Law and in Mid-South SuperLawyers in the field of Business Litigation. He is a Fellow of the Litigation Counsel of America, a trial lawyer honorary society comprised of experienced and effective litigators throughout the United States. 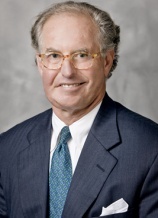 Mr. Carr has been listed since 1985 in Who’s Who in American Law and is listed in Who’s Who in America and Who’s Who in the World. He is a member of the mediation panel of the United States District Court for the Western District of Tennessee. Mr. Carr is also a Fellow of the Tennessee Bar Foundation, and is named to Memphis Business Quarterly’s Players List in Business Litigation. Glankler Brown, PLLC is a full service firm with more than 55 attorneys in offices located in downtown and East Memphis.